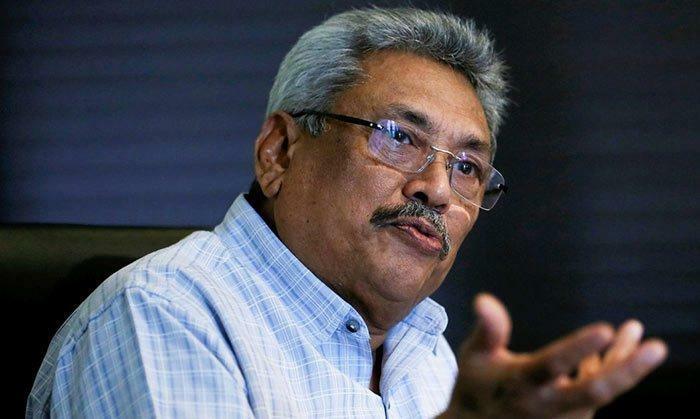 (MENAFN - Colombo Gazette) A federal judge in the U.S. District Court for the Central District of California, in Los Angeles has unsealed a civil lawsuit against former Sri Lankan Defense Secretary Gotabaya Rajapaksa, a dual U.S.-Sri Lankan citizen, seeking damages for his alleged involvement in the 2009 killing of journalist Lasantha Wickramatunga, the Committee to Protect Journalists said today. The suit was filed under seal by Ahimsa Wickramatunga, the journalist's daughter, on April 4. Although authorities in Sri Lanka have claimed to be investigating the case for years, criminal proceedings have not progressed, according to CPJ reporting . "For more than 10 years, authorities in Sri Lanka have utterly failed to deliver justice in the brutal killing of Lasantha Wickramatunga, despite a wealth of evidence pointing to perpetrators," said Steven Butler, the Committee to Protect Journalists' Asia program coordinator, from Manila. "Perhaps successful prosecution of the case in a U.S. court will finally spur authorities in Sri Lanka to pursue the murder as they should have from the start." The complaint against Rajapaksa describes a broad campaign against journalists during the decade he served as Defense Secretary, from 2005 to 2015. Lasantha Wickramatunga was editor of The Sunday Leader and exposed alleged corruption by Rajapaksa; he was beaten to death on January 9, 2009, allegedly by men who were part of the Tripoli Platoon, operating under Rajapaksa's command, according to the complaint. The case was filed under seal with no damages specified, and Rajapaksa was served with papers in Los Angeles on April 7, according to the Center for Justice and Accountability , whose lawyers helped prepare the complaint. In January, the center won a $302.5 million judgement against the Syrian government over the 2012 killing of Sunday Times journalist Marie Colvin, as CPJ reported at the time. Rajapaksa did not respond to a Twitter direct message asking for comment.